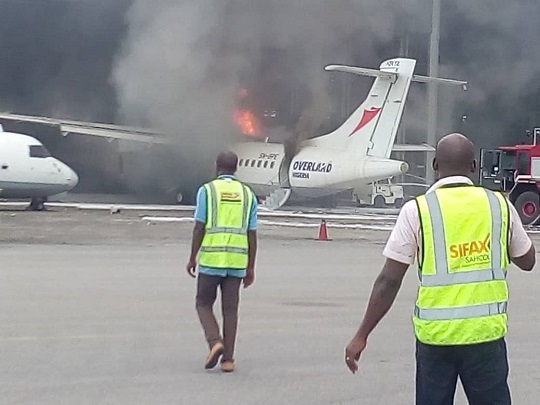 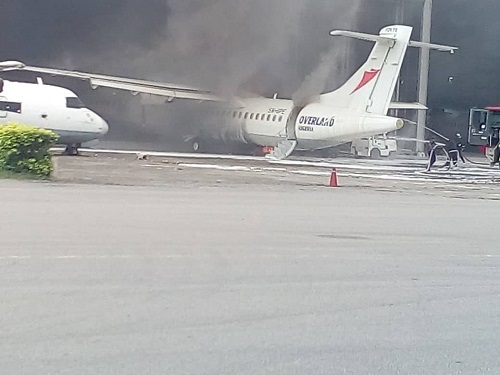 An aircraft belonging to Overland Airways parked inside Overland Air hangar at the domestic wing of the Muritala Muhammed Airport, Lagos is currently on fire. 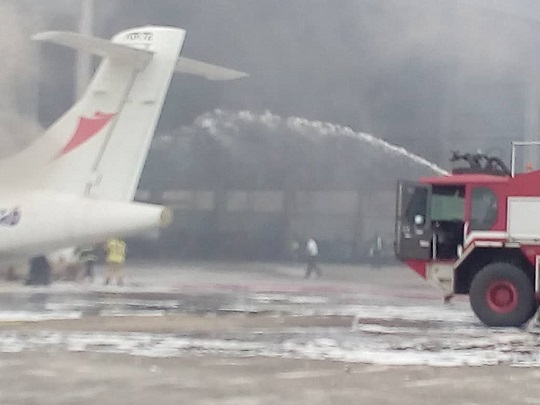 Fire service men at the airport are on ground to curtail the inferno. 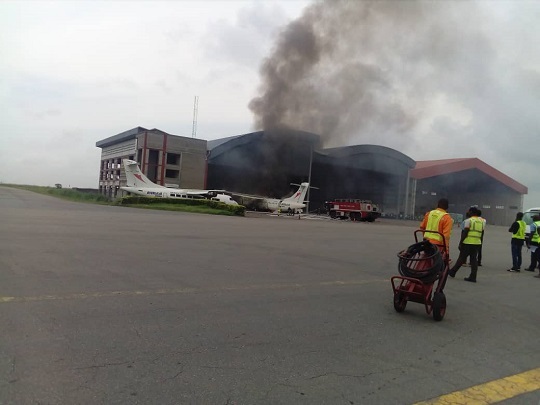 Overland Airways aircraft consumed by fire while undergoing servicing, today, at the Lagos airport.